The first time sound collagist Vicki Bennett played Edinburgh under her People Like Us alter ego, it was on the empty dance-floor of a cellar club in the city centre a decade ago, in front of a thin smattering of quietly curious punters and a pair of bemused bouncers. The show was produced by promoters the House of Dubois, whose pioneering events – including Godspeed You Black Emperor’s UK live debut at Stills Gallery – pre-dated the swathes of experimental sonic activity that would follow a good two years later. In the decade since, Bennett’s witty pop cultural mash-ups have been championed by the late John Peel and Radio 3, as well as London Musicians Collective-run station, Resonance FM. With a multitude of releases on vinyl, CD and cassette, Bennett’s work has appeared at Tate Modern, Sydney Opera House and Barcelona’s electronic music love-in, Sonar. Bennett was the first artist granted access to the BBC’s entire archive, and in 2007 had a retrospective at Newcastle’s much missed alt.gallery. Bennett’s ongoing weekly podcasts for art radio station WFMU, ‘ Do or DIY’, meanwhile, are legend. For Prints of Darkness Bennett created ‘This Is Light Music’, an elaborately packaged limited edition 12-inch picture disc with accompanying essays. While tapping into the nostalgic vogue for embracing arcane formats in the face of one-click programming Bennett’s blip-vert none-sequiters retain a sense of humour beyond the punning of the show’s title. Not for nothing are Chris Morris, Roger Whittaker and Radio 4’s bedtime shipping forecast theme ‘Sailing By’ referenced. As well as Bennett, ‘Prints of Darkness’ features 11 Scottish-based artists with musical leanings, including former Fall guitarist Tommy Crooks (a member when the band famously imploded onstage in New York in 1998) and cartoonist Malcy Duff, who forms one half of hiss’n’miss sonic slapstick duo, Usurper. The likes of Duncan Marquiss, The Lonely Piper, Edward Summerton and the show’s co-curator Norman Shaw also keep Bennett company. 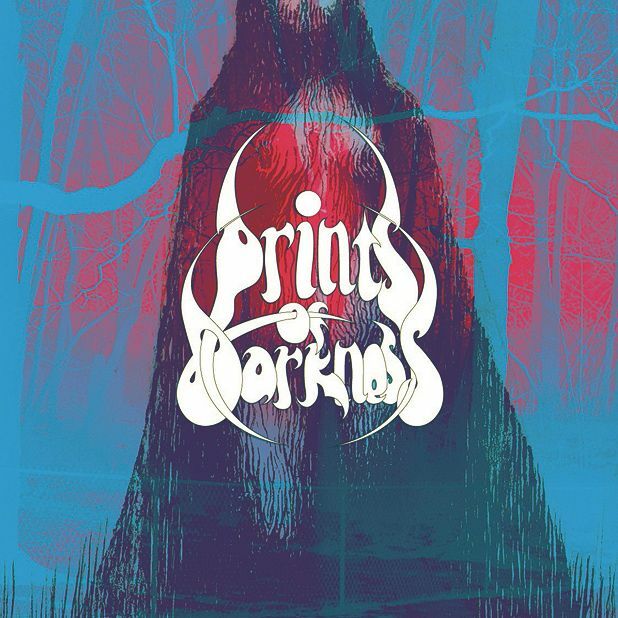 Prints of Darkness, Edinburgh Printmakers, Sat 17 Jul–Sat 4 Sep.